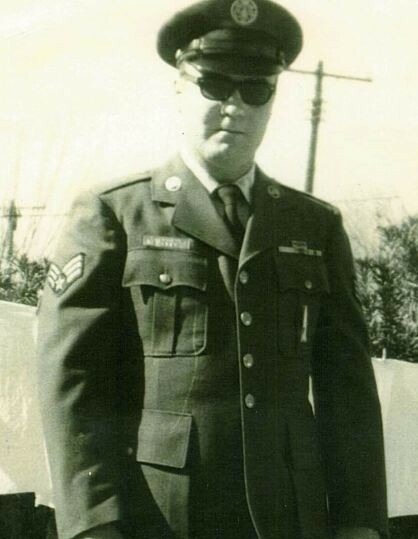 MSGT Charles Preston Allen, Retired, 81, passed away on Saturday, September 1, 2018 at Clark Memorial Hospital in Jeffersonville, Indiana. He was born on October 15, 1936 to the late Joseph and Velma Allen in Los Banos, California. Mr. Allen honorably and faithfully served his country in the United States Air Force earning the title of Master Sergeant. During his career he served in many avenues of service including the Strategic Air Command, accounting and serving under President John F. Kennedy during the Cuban Missile Crisis. In his retirement years Mr. Allen enjoyed working as an Automotive Mechanic and spending time with his family. His passions in life included his devotion for God, Family and his country. In Addition to these fine qualities he had a great love of country music and playing his guitar. Even in his final days at the retirement home he could be found “pickin and grinnin” for other residents. He was preceded in death by his brothers, Joseph Allen, Fred Allen, Johnny Rae, and his sisters, JoAnn Crockett, and Betty Stoffers. Survivors include his loving wife of 55 years, Agnes Allen of Palmyra, his sons, Joseph Allen (Terry) of Palmyra, John C. Allen of Palmyra, his daughter, Barbara Stroud (Rick) of Jeffersonville, and his brother, Bob Allen (Hue) of Minh Cho City, Vietnam. MR. Allen Also leaves behind 7 grandchildren and 9 great grandchildren. Madison, In 47250). Visitation will be held from 11:00 A.M. until the time of the service at the cemetery of chapel.